Xymena Kurowska is an IR theorist interested in interpretive policy analysis. She received her doctorate from European University Institute in Florence, Italy. She works within International Political Sociology and at the intersection of psychoanalysis and politics, with particular focus on security theory and practice, border politics, subjectivity, and interpretive methodologies. She was a grantee of the European Foreign and Security Policy Studies Programme to research border policies in Eastern Europe. She also served as the CEU principal investigator in Global Norm Evolution and Responsibility to Protect project to study Russian approaches to humanitarianism. 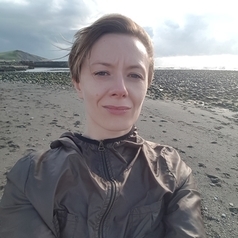 Currently, she is a Marie Skłodowska-Curie fellow at the Department of International Politics at Aberystwyth University with a project on subjectivity and European border guard training.